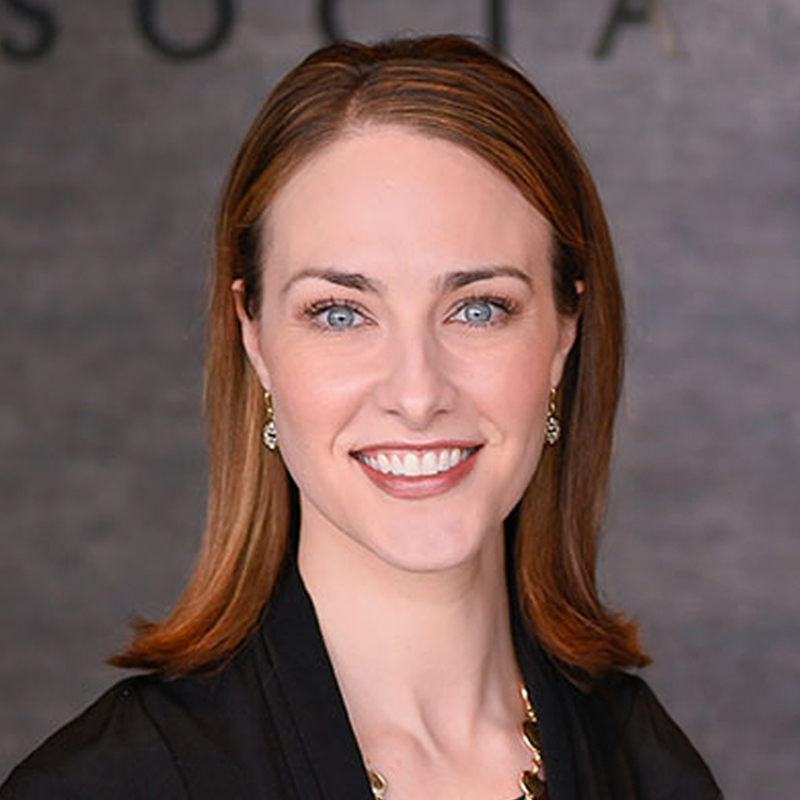 Dr. Allison (Siddall) Landes is a board certified comprehensive ophthalmologist, surgeon, wife, mother, and founder of Landes Eye Associates. She grew up in Tallmadge, Ohio and attended Cuyahoga Valley Christian Academy. She graduated from Cedarville University in 2003 with a BA in Biology and received her medical degree from Loyola University Chicago Stritch School of Medicine in 2007. Dr. Landes completed her residency training in ophthalmology at Loyola University Medical Center/Edward Hines VA in 2011. She joined the Davis Eye Center in 2011 where she worked until she founded Landes Eye Associates in 2017 with her husband, Dr. Marc Landes. As a cataract and refractive surgeon, Dr. Landes strives to offer her patients the most technologically advanced procedures available so that their surgical options are maximized and their post-operative visual goals are met. She was among the first group of surgeons in the state to be trained and certified in femtosecond laser assisted cataract surgery on the LenSx platform. In conjunction with several intraocular lens choices including toric and multifocal lenses, her patients may elect to achieve freedom from glasses following cataract surgery. Dr. Landes also offers the iStent procedure for glaucoma patients who are undergoing cataract surgery. Through this procedure, glaucoma patients may be able to decrease or even eliminate their need for glaucoma drops. Dr. Landes has been performing bladeless LASIK since 2011. Dr. Landes was also one of the very first surgeons in the state to be certified on the WaveLight platform for the fastest and most precise bladeless LASIK procedure to date. In addition to cataract and refractive surgery, Dr. Landes is a comprehensive ophthalmologist providing routine eye care as well as the diagnosis and management of many ocular conditions and diseases such as diabetic retinopathy, glaucoma, macular degeneration, dry eye disease, and others. She is known for her thorough and compassionate care with emphasis on patient education. Her goal is that you leave the office feeling completely cared for with all of your questions answered. For those patients interested in facial cosmetics, Dr. Landes is a Master Injector, certified in the administration of Botox, the Juvederm family of products including Volbella and Voluma, Kybella, and also prescribes Latisse. Cosmetic evaluations and treatments are performed in a private and calming setting. She will listen to your concerns and help you look your best while maintaining a natural, yet refreshed appearance. She is known for her honest evaluations and gentle procedures. Dr. Landes is a fellow of the American Academy of Ophthalmology and belongs to the American Society of Cataract and Refractive Surgery. She is a volunteer with EyeCare America, a public service program through the Foundation of the American Academy of Ophthalmology, providing free eye care to the medically underserved and those at increased risk for eye disease. She is an on-call volunteer with Faithful Servants, a local organization providing free urgent medical care to the underinsured. She also works with Faithful Servants to provide free diabetic eye exams for their patients. Dr. Landes remains connected to her alma mater, CVCA, serving as a physician mentor with their School of Medical Professions. She assists with resident physician education as a Clinical Associate Professor of Ophthalmology with the Summa Department of Ophthalmology, also serving on a resident education committee and the interviewing committee for incoming ophthalmology residents. Dr. Landes takes great joy in motherhood, building Landes Eye Associates with her husband, and treating her patients like she would her own family. Come and see what makes Landes Eye Associates different. "My consultation with Dr. Allison Landes was more than I expected. Extremely professional yet super kind and she actually listened to what I wanted. Will be back again soon!" "I really appreciate how Dr. Allison Landes explained my condition in a way I could easily understand. Her confident and thorough explanation allowed me to trust her completely for my care. I’m happy to have an ophthalmologist I trust to refer my friends to." "There's something special about their office and staff... I always feel so calm when I am there!"